Olive trees, charming tumbledown buildings, ancient history, beautiful coastlines, crystal clear waters, delicious food…it must be Greece. This easy-to-travel country is packed to the brim with things to see and do, making it interesting for history buffs and fun for hedonists alike. There really is something for everyone in this captivating country. This country enjoys a paradise-like warm climate in summer that brings sunseekers and holidaymakers to its many beaches. 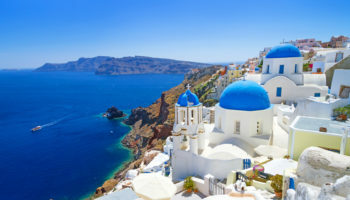 Many of the Greek islands in particular were some of the first destinations to be visited by those on package holidays, and continue to attract many thousands of visitors each year. Because of this, Greece is practically bursting at the seams in any of its more popular cities. The more popular the destination, the more accommodation there is. This often (but not always) means good options for all budgets. 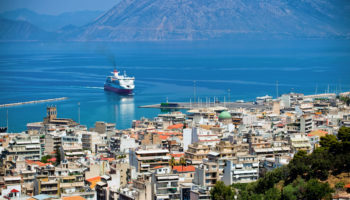 Getting to and from Greece is easy, too, thanks to plenty of deals and budget airlines who operate routes to many Greek destinations daily. So what are you waiting for? Here are our top picks for where to stay in Greece, to help you decide which place would suit you best. Crete is by far the biggest Greek island, located in the south Aegean Sea. 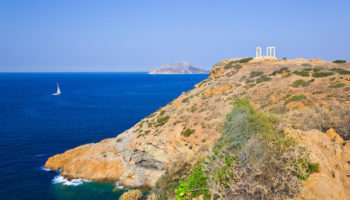 Not only a huge landmass known for its landscape, which includes both a rugged, mountainous interior as well as a selection of fine sand beaches, it was also the home of the Minoan civilization. This ancient culture flourished from around 2700 to 1300 BC. 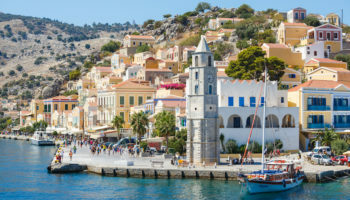 Towns on the island include Rethymno and Chania, both old ports established during the Venetian control of the island; elsewhere there’s the stunning Elafonisi, a small island on Crete’s southwestern coast made of paradise-grade white sand, with shallow water at low tide. 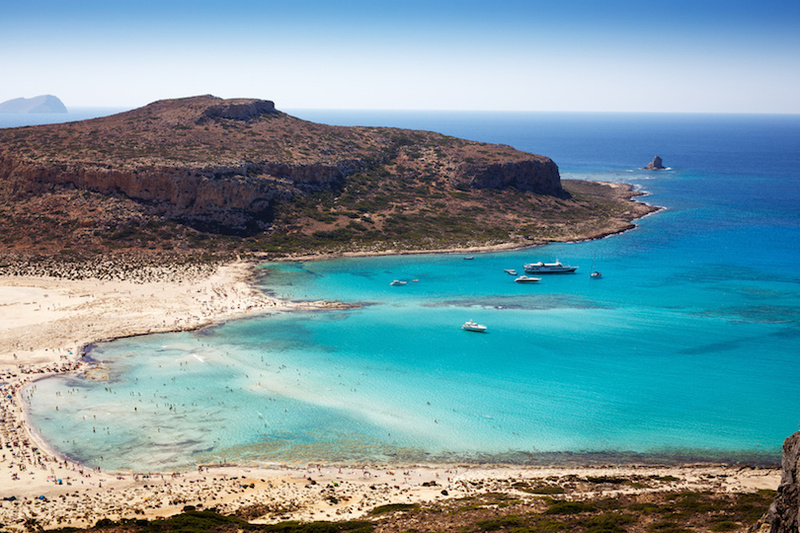 Crete is also a prime snorkeling and scuba diving site thanks to its dramatic coastline. The island can be reached by ferry, although most tourists arrive by plane. Hotels of all varieties can be found along the island’s northern coast, but there are a few options on the south side, too. 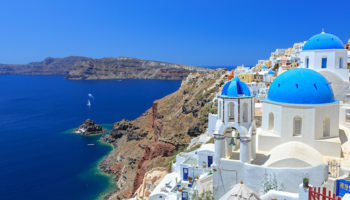 Santorini is famous for its typically Cycladic whitewashed houses and stunning natural landscape as much as it is known for its luxurious hotels and restaurants. 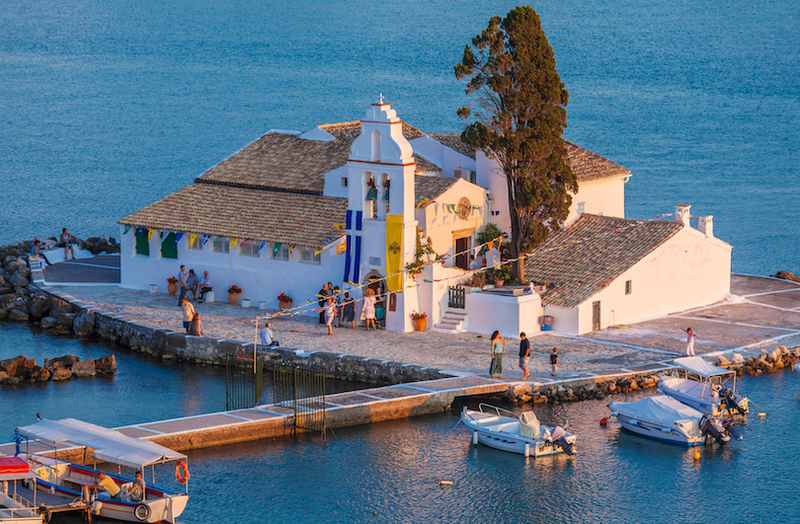 This island naturally attracts rich tourists of Europe and comes with prices to match. However, not all hotels on this island are high-end. The island itself, located towards the south of the Aegean and to the north of Crete, is actually centered on the slopes of a volcano; its center is marked by a collapsed and flooded caldera, complete with a tiny island in the middle of it. Views over the cliffs leading into the caldera are, needless to say, stunning. And it’s here where the most expensive accommodation can be found. on Santorini. 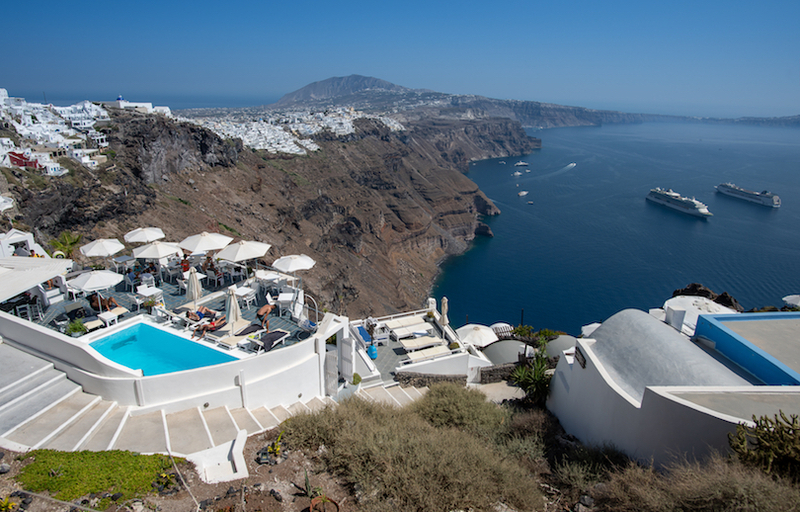 The most luxurious hotels can be found in the cliffside towns such as Oia and Fira. Cheaper options are found inland and in Perissa on the southeast coast. 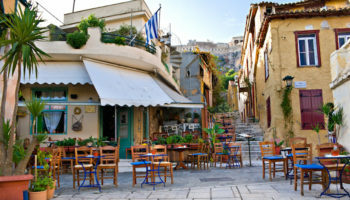 Athens is a sprawling metropolis packed with the history and culture befitting the capital city of Greece. In fact, it’s one of the world’s oldest cities, and has been continually lived in by people for more than 3,400 years. Its iconic landmarks include the Acropolis as well as the Temple of Olympian Zeus, amongst other less renowned but equally ancient sights. 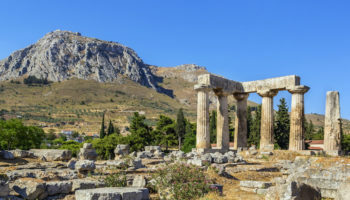 There is plenty to explore in the Greek capital when it comes to ruins, which makes for a perfect stay for anybody interested in stepping back in time for a few hours. At the same time, it is a modern city after all: youthful nightlife thrives in the anarchist district of Exarchia and you’ll find big nightclubs in Gazi. 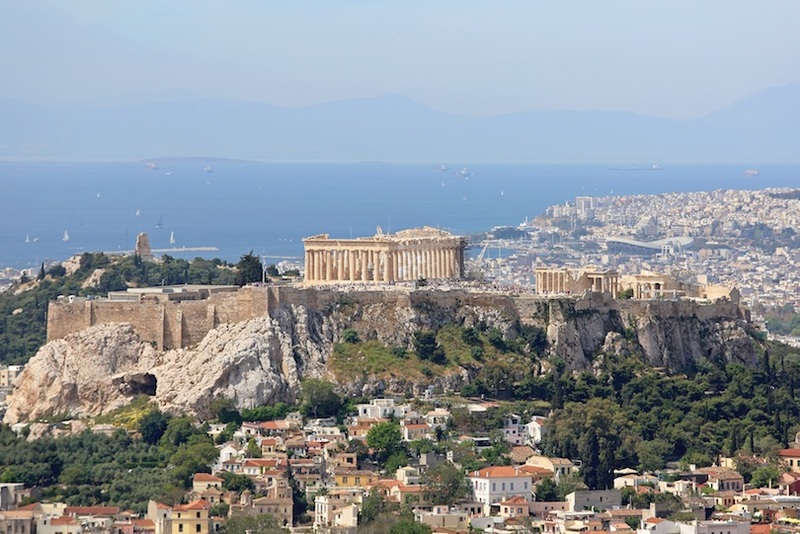 There’s a range of accommodation on offer in Athens, situated mainly in the surrounding areas of the Acropolis itself, and a concentration to the southeast of the main train station. Another of the islands in the Cyclades island group, Mykonos, like fellow Cycladic isle Santorini, is full of expensive accommodation, entertainment, and food and drink. It’s a place where relaxing whitewashed beach holiday meets exciting nightlife and clubbing culture, mainly in Mykonos Town. In fact, Mykonos is well known as a haven for LGBT tourists among the Greek islands and many establishments are LGBT friendly. 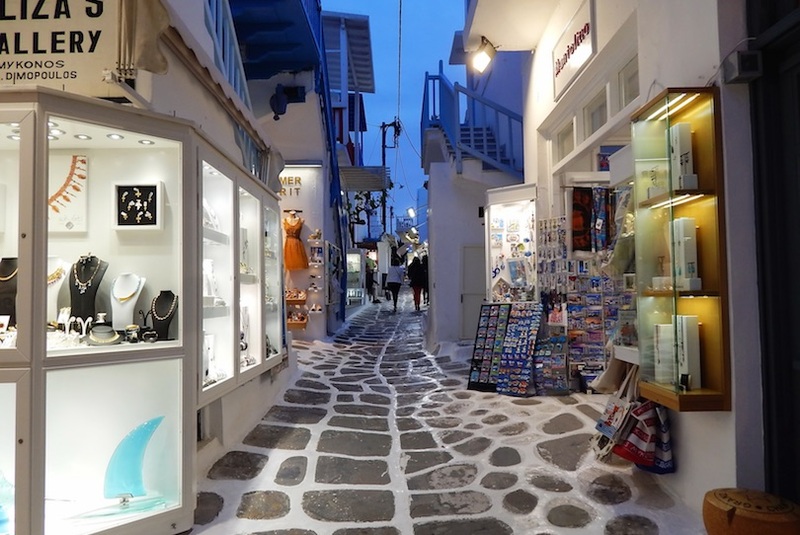 Being as popular as it is, Mykonos is therefore definitely well equipped to handle visitors to the island, including good connections to other Greek islands and the mainland, as well as getting around the island itself. The popularity of Mykonos also means that it gets exceptionally busy over the summer season, with Mykonos Town being especially jam-packed. As for hotels, Mykonos features a large selection of accommodation, though much of it leans towards high-end and the higher end of the mid-range spectrum. Corfu is the second largest of the Ionian Islands, located just off the west coast of Greece and facing Italy across the Ionian Sea. 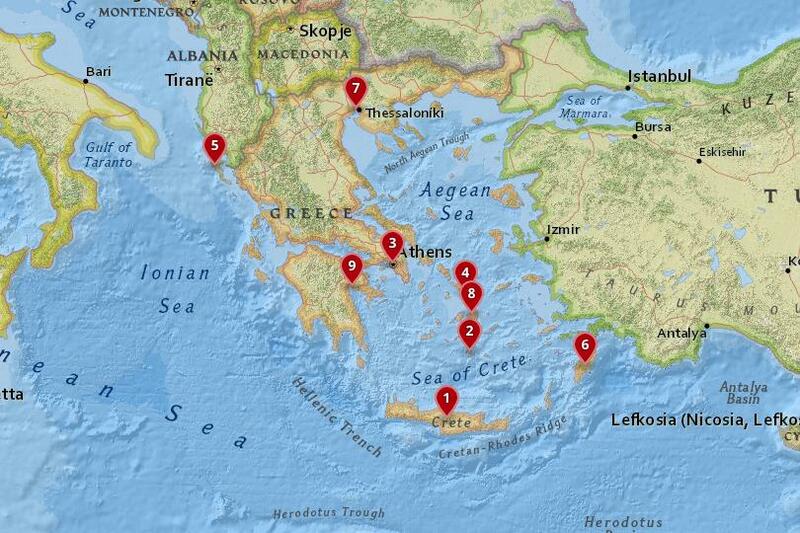 It has a long history of defending against invaders, from the ancient Hellenic era all the way to Ottoman invasions. This lead to its main town, also called Corfu, earning the nickname of ‘Kastropolis’ or ‘Castle City’. After the Napoleonic Wars, it came under the control of the British Empire and was given independence when Greece united after becoming free of Ottoman rule in 1864. 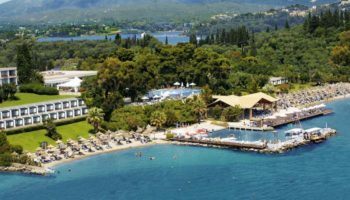 Aside from the history, Corfu is also known for its beaches and has been a well-established tourist hotspot for many decades, first with royals and elites, and then as one of the first package holiday destinations. While a few expensive hotels dot the island, most are affordable budget to mid-range resorts or guesthouse style lodgings. 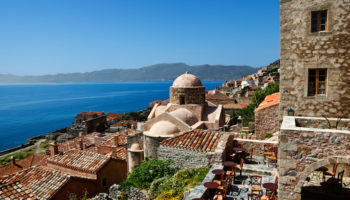 Set in the eastern Aegean Sea, practically off the coast of Turkey and to the northeast of Crete, the island of Rhodes is the largest of the Dodecanese Islands. As with many of the Greek islands, Rhodes is awash with ancient history, which goes back thousands of years. 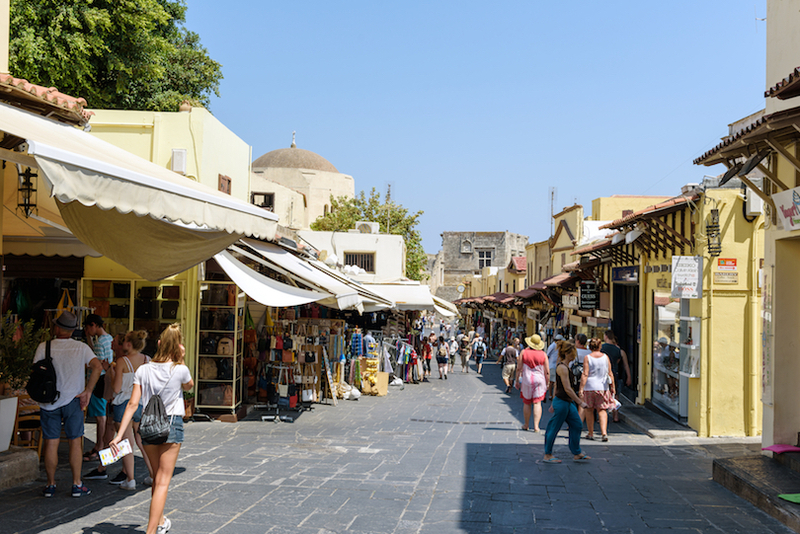 But today, though Rhodes City might be famous for its medieval old town, elsewhere on the island are more modern pursuits. There’s the party centre of Faliraki, for example, where it heaves with bars, nightclubs and plenty of alcohol. You’ll find accommodation all over the island, from resort complexes in the town of Ialysos to small affordable lodgings at Lindos. Clubbers stay in budget apartments in Faliraki (though its northern end is where there are family-friendly resorts and a quieter beach), whilst there are a number of hotels in Rhodes City. 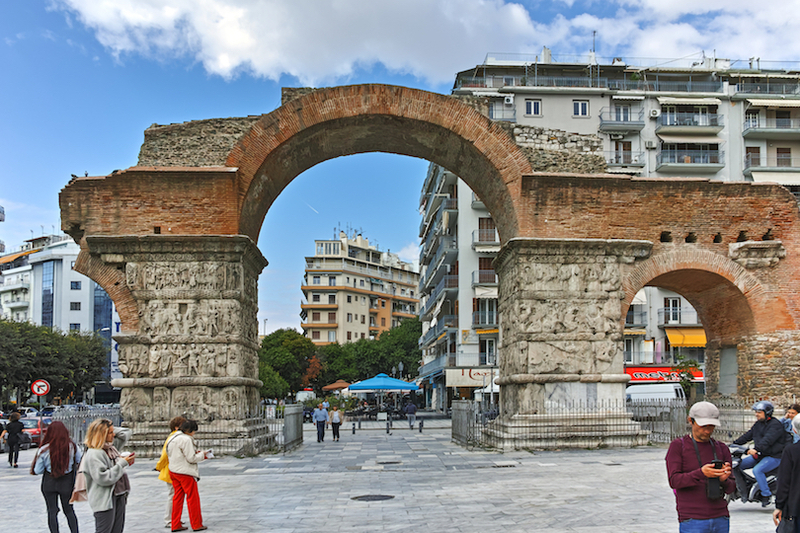 Thessaloniki is situated on the southern coastline of Greek Macedonia and serves as the region’s capital. This large port city also boasts a long history, and there is evidence of it spread in the Ano Poli district of the city. For example, there are the ruins of Roman emperor Galerius’ palace dating from 400 AD. Part of this complex, known as the Rotunda, have at certain points in time been used as a Byzantine church and then a mosque during Ottoman rule. There are many more cultural and historical sights dotted around Thessaloniki. Thanks to its history, this port city is a popular tourist destination and because of that, there are many hotels in town, mainly concentrated in an area between the main train station and the Ano Poli district. These are mainly mid-range, with some more expensive offerings located closer to the waterfront. 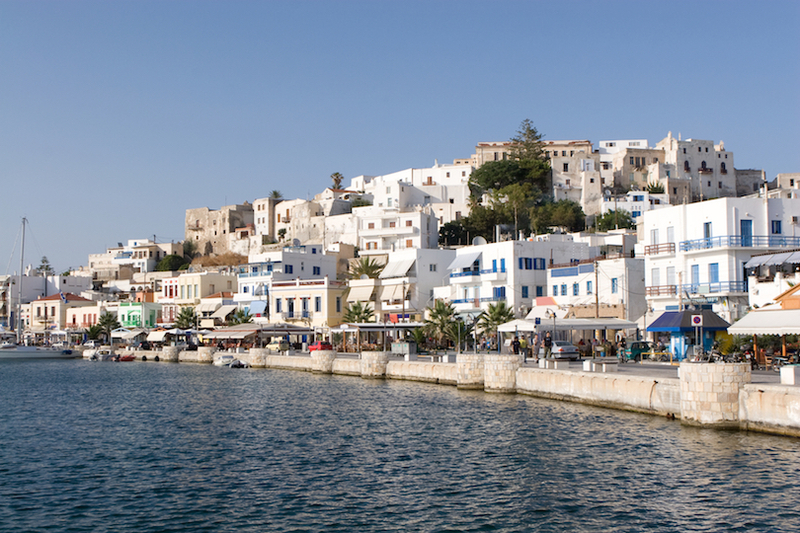 The island of Naxos is more or less located in the center of the Cyclades and is the largest island of the group. Naxos is said to have been the richest of the Greek islands, being in the perfect position to control trade in the Cycladic region. That continues today: fertile Naxos, unlike many other Greek islands, makes more money from agriculture than it does from tourism. 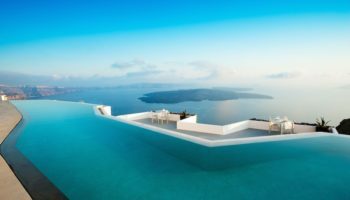 It may rely less on tourism than other Greek islands, but that doesn’t stop there being many hotel options. 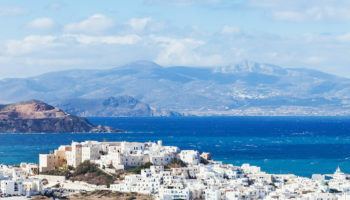 There is a particularly high concentration of accommodation in Chora, otherwise known as Naxos City, in the west of the island. It’s here you’ll find the photogenic streets of its walled Venetian old town and the famous Portara or Great Door. Most of the accommodation here is budget to mid-range hotels and guesthouses, which make exploring the history and landscape here very affordable compared to other islands. The seaport of Nafplio has been under the control of many different overlords at different times in its history. 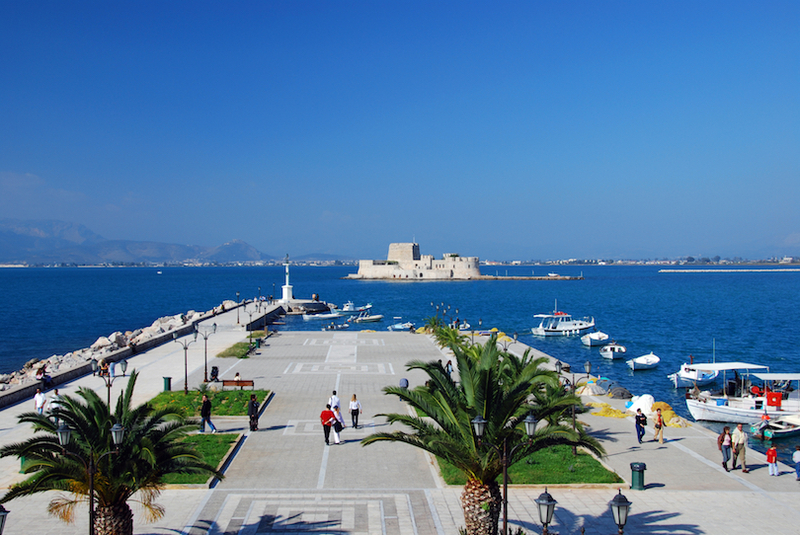 Located on the coast of the Argolic Gulf in the Peloponnese, Nafplio has been ruled by the Byzantine empire, Crusader lords, the Venetians and the Ottoman empire. This was the place where Ioannis Kapodistrias, the first head of state of Greece, first stepped foot after the liberation of the country from the Ottomans; in fact, it was briefly the capital of Greece, from 1829 to 1834. And it’s got stunning neoclassical buildings, winding streets and Venetian balconies to match. It’s known as one of the most beautiful cities in the whole country. Visitors even come here from the current capital to soak in the atmosphere, and it’s a popular destination for Athenians on weekends, even in winter! 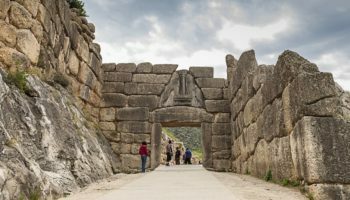 With both Greek and European tourists, it can get pretty busy in high season here. However, hotels are happily mid-range and affordable.